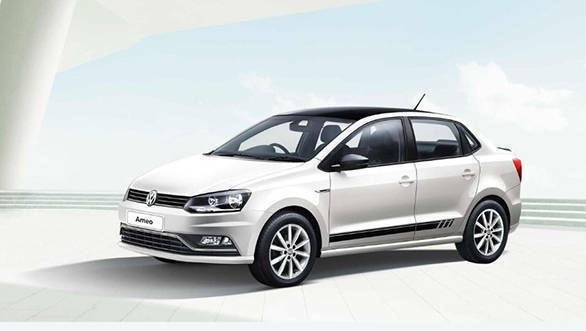 Volkswagen India has introduced the Black and White edition of the Ameo, Polo and the Vento with no additional cost. The Black and White edition is essentially a cosmetic upgrade over the standard car with no mechanical changes. 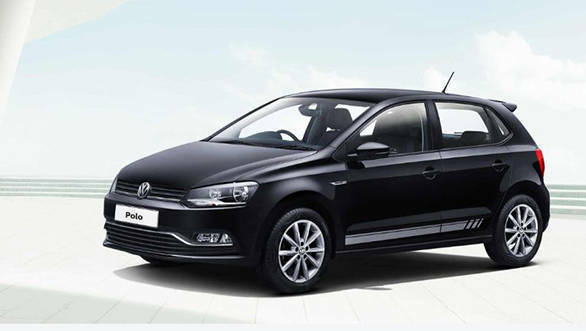 The edition includes the reintroduction of the colour black for the Polo hatchback and the Vento sedan. 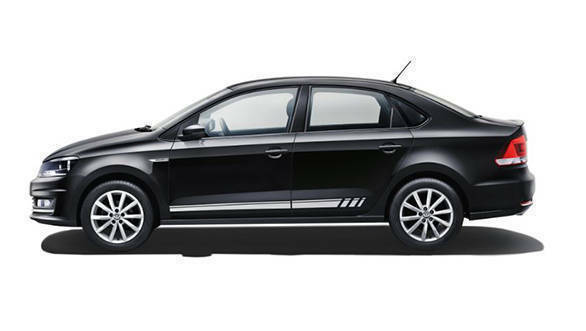 The Black and White edition packs waist line graphics, blacked-out ORVMs, blacked-out roof, gloss finished rear spoiler, a roof spoiler (Polo only), 'Black and White' chrome badge on the side, 16-inch Portago 10-spoke alloy wheels on the exterior. Inside, the Black and White edition VW cars get 'Black & White' Leatherette Seat Covers. The Ameo and the Polo are available with the Black edition pack in their top trims - Highline Plus. Whereas the Vento is available in the Highline trim and misses out on features offered in the Highline Plus trim i.e the reverse parking camera, auto levelling LED headlamps and side airbags. Speaking on the occasion, Steffen Knapp, director, Volkswagen passenger cars said, "It is our constant endeavor to enhance our product offerings that are in-line with evolving consumer aspirations. 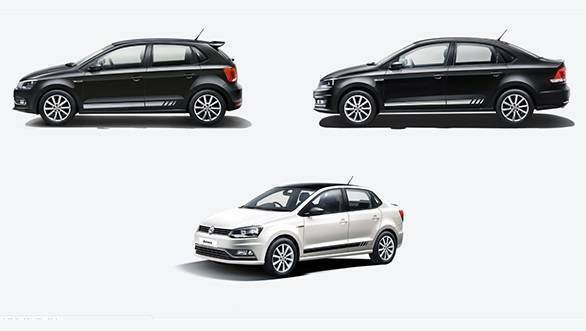 The Polo & Vento have been strong contenders within their segments. Adding a dash of style, these enhanced feature offerings further make an attractive value proposition for our discerning customers. In turn giving them the power of choice within the Volkswagen product portfolio."